Zun Lee is an award-winning photographer from Toronto, Canada. He was born and raised in Germany, and has also lived in Atlanta, Philadelphia and Chicago. His work has been featured in The New York Times, TIME Lightbox, BURN Magazine, Hyperallergic, Slate, and other publications. 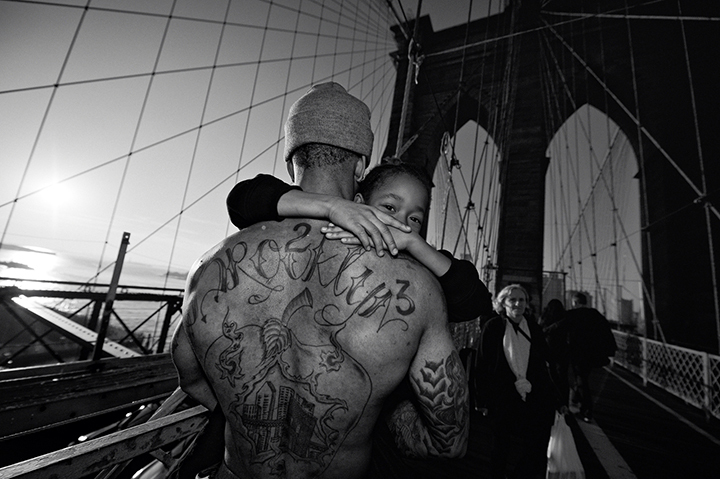 Widely hailed as a landmark project, Lee’s Father Figure: Exploring Alternate Notions of Black Fatherhood is at once documentary photography and personal visual storytelling. He offers an intimate view into the daily lives of black men whom Lee has worked with closely since 2011 and who are parenting under a variety of circumstances – as married and single fathers, social fathers, young and older, middle class and poorer. Lee brings into focus what pervasive father absence stereotypes have distorted – real fathers who are involved in their children’s lives and who are not media caricatures. With acclaimed writer Teju Cole’s poignant foreword and an impassioned afterword by Pulitzer Prize-winning journalist Trymaine Lee, the book to Father Figure drives home the broader connection between black father absence stereotypes and the ongoing criminalization of black masculinity. Father Figure will be exhibited at the Black Artists’ Network in Dialogue (BAND) Gallery space as part of the 2015 TD Then and Now Black History Month series. It opens on Feb 19 and runs until April 2, 2015. Rinaldo Walcott is an Associate Professor and the Director of Women & Gender Studies Institute at the University of Toronto.